What began as a job as a local sports and political reporter turned into a run for local office. 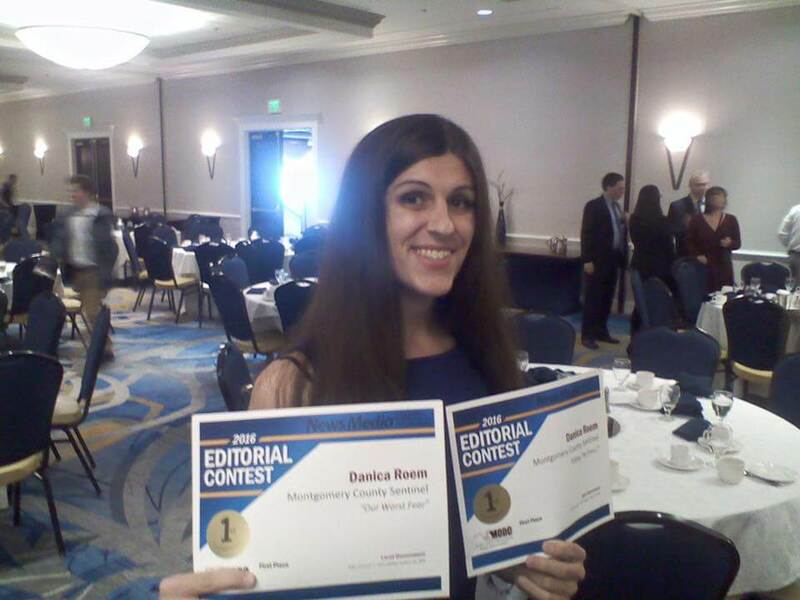 Danica Roem started as a journalist writing about local issues in her hometown of Manassas, Virginia. 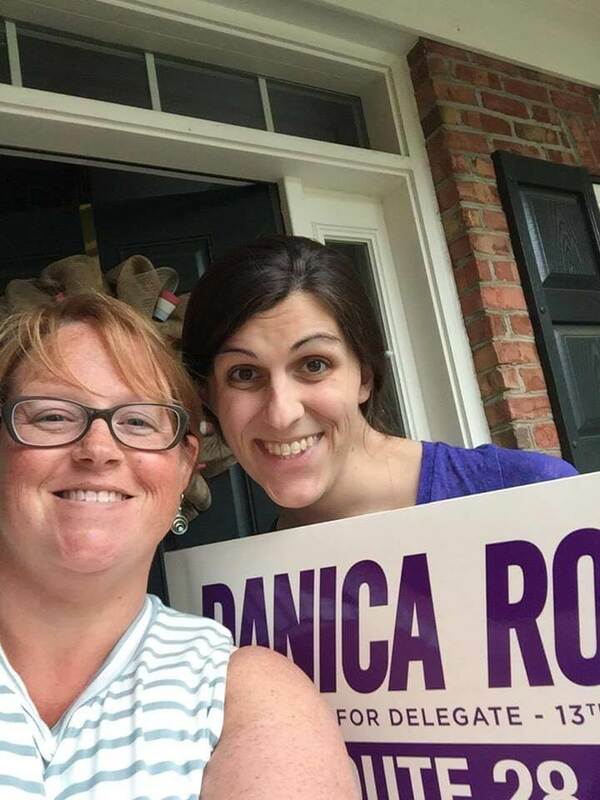 Endorsed by both the Victory Fund and EMILY’s List, Roem is now running for the 13th District of Virginia’s House of Delegates. Passionate for her community, Roem’s platform focuses on transportation, education and economic development. She plans on using her 10 years of experience as a local journalist to create a better, inclusive community for all Virginia residents, no matter their gender identity, race or who they love and worship. Q: How did you get involved in journalism and politics? A: It was in 2003–2004, during the Iowa Caucuses. George W. Bush talked about a constitutional amendment against gay marriage. That’s when I saw politicians use the Constitution as a wedge to discriminate against those in the LGBTQ+ community. After that, I read about politics and government every day. I read the National Journal, local paper and analysis from neutral reporters. I consumed all the information and learned from it. I drew my worldview based on those facts. Q: How has your journalism background prepared you for public office? A: The skill set I developed as a journalist directly relates to being a legislator. As a journalist you have to research the policies and information you’re writing about, listen, ask questions, listen some more, draft an article, go through the editorial process, which can be different depending on whether you’re a journalist or legislator and then finally publish. Legislators do the exact same stuff with legislation and policy. Being a journalist also gave me a front-row seat on public policy issues, especially in the 13th district. From education, transportation, economic development, healthcare [and] LGBTQ+ issues, I’ve probably covered all the issues at some point. The shift from journalism to legislator is a very lateral move; it’s not that difficult because I’d be doing the exact same stuff. Q: What is your most memorable experience as a journalist? A: I went door-to-door in 2008 during the foreclosure situation. I’d go to talk to the people who live near foreclosed homes. I was writing about things like how foreclosed homes affects value and the neighborhood, and eviction concerns. On the night of the Super Bowl, I talked to a couple in a house next door to a foreclosed home. Unlike the others in the neighborhood, they weren’t up watching the Super Bowl. They couldn’t take part in the live experience, because of their jobs and commutes. They couldn’t watch the game because they had to get up at 4 a.m. for work, because the rush hour traffic is that bad. It shows how you don’t know what’s going on with people unless you knock on their doors. You get a little slice of life by learning about a typical day in American life. Q: How did you decide you wanted to run? What inspired you? A: I became a journalist because I wanted to speak the truth to power. I decided to run for office to revoke that power from politicians like Delegate Bob Marshall who abuse it. There are politicians with an anti-transgender appeal that promote hate speech using taxpayer dollars. They spread misinformation, and signal out and stigmatize transgender individuals. It’s very dangerous and creates an environment of hostility, and that is not okay. As a journalist, I can call them out on it. But as a legislator, I can unseat them and work to change the narrative. Q: How did you get started and develop a platform and campaign? A: I attended training sessions at places like the Victory Fund, Virginia Institute, Emerge America and the VA House Democratic Caucasus. For my platform, I asked myself questions like: What issues are most important? What don’t I know? That’s what I have to learn about from the citizens. And the way to do that is by knocking on doors and talking to people, like I did when I was a journalist. In the first week of my campaign in January, I knocked on doors. I started developing my campaign on January 3, and I knocked on my first door on January 7. So far in my campaign, I’ve knocked on more than 5,000 doors in the Manassas area. I share with them who I am, and ask them what issues they’re worried about. We talk about my platform, and how I can specifically help them. I take physical notes, and share stories and what I learned on my social media. Q: What are some of the lessons you’ve learned while campaigning? A: Raise money and raise it early. I didn’t use an automated phone dialer early on in the campaign, and now that I use it, it’s a game changer. I can interact with more people in more time. I didn’t learn about it until my last day of training. It’s also important that you learn information about your donors as much as possible. We’re running a naturally progressive campaign; we take small grassroots donations and accept no donations from big corporations or businesses. You gotta raise money to reinforce the ground game, which can be hard sometimes. Q: How does being a member of the LGBTQ+ community influence your life and campaign? A: I came out on my 30th birthday. No one knows how suffocating gender dysphoria really is. I wasn’t living my authentic self, and my life was not reflecting who I actually was. And when I came out, I didn’t feel safe enough to come out to everyone. Because when you declare yourself transgender, you face potential alienation from your family and friends. However, I still rather go through it all if it means being comfortable with who I am. I took my job seriously as a journalist. I checked my partisanship at the door and let my work speak for itself. My boss for the Montgomery County Sentential gave me a big chance. He said that he didn’t care that I was transgender as long as I could do the job. 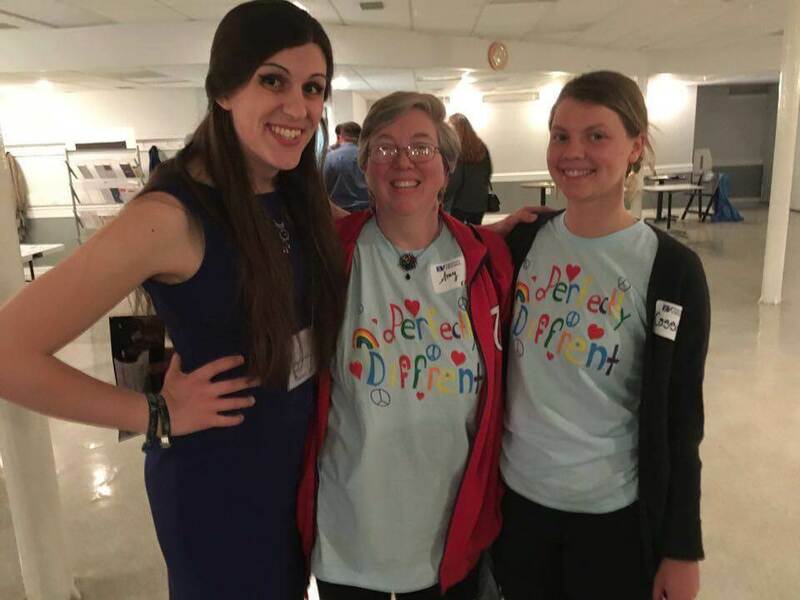 By embracing a LGBTQ+ employee, the newspaper gained diversity and a different perspective. I think to myself, if I was 17 or 18 now, would I have come out? The environment now, with all the work by LGBTQ+ activists and advocates, is very different than when I was 17 or 18 years old. We’ve worked for more visibility, and there’s a greater need to be seen by other people in our communities. If the federal government won’t protect us, we need to lead and stand up for our rights. It’s a good reason to run, to get involved in the General Assembly, local councils, the school boards, etc. I’m transgender AND a journalist. I’m transgender AND a politician. Yes, I’m transgender. I don’t hide; I’m proudly a member of the LGBTQ+ community. You can succeed in politics or journalism, because of who you are, not despite it. Right now, I’m the best version of myself, and there’s no reason why I should be treated any differently because of who I am. Your identity doesn’t disqualify from living the dreams you’ve been called for. Q: At College Magazine, we’re the guide to the undergraduate experience. In what ways did your college experience shape your life? A: Well, in my first semester, which was in Fall 2002, I had a 1.1 GPA and was almost expelled. It’s not that I didn’t enjoy being there, but I did virtually no homework. I went to heavy metal shows all over the country instead. I just didn’t care. And then I got a big reality check when I got an academic probation letter in the mail and lost half of my scholarship. I took my academic probation class and worked harder in school. In my second semester, I got a 3.48 GPA and made the Dean’s List. But, it took 10 years for me to pay back the money. I worked two full time jobs and 80 hour weeks, and paid for my mistakes from when I was 17 or 18 years old until I was 31 years old. It’s important to make a point that college is serious, that being a student is a job. Q: At College Magazine we’re working together with EMILY’s List, Emerge America, Human Rights Campaign, Higher Heights, Running Start, She Should Run, Victory Fund and IGNITE on an initiative to fight for equal representation in congress called “50 by 2050.” What are your thoughts on the goal of achieving 50 percent of women in Congress by 2050? A: I remember what Senator Kirsten Gillibrand said when she told us to imagine if 51 percent of the legislative body was women. I think you would see more collaboration, and it would become more inclusive. Women have great leadership skills, and you’d see them working together beyond party lines. You’d also definitely see more quality of life issues being addressed. “Like journalists, you have to master your beat. You need to know it inside and out. That way, you can have peer-to-peer discussions with public policy officials. It sets you up for serving in the state legislator, or anywhere else for that matter,” said Roem. “Go to city and town council meetings. Sit through the discussions, especially through all the boring stuff. Go to that, take notes and learn from it. Also, don’t be afraid to speak up about something, even at small meetings where there are only four or five people there. It’ll help you develop your voice. And keep going back to those meetings,” said Roem.